Let's face it. Tossing clothes in a washer with some detergent is pretty simple. It's those stains that can really cause the problems. But if you master these ten basic tips, you can feel confident tackling most any type of stain removal from A to Z. Take care of stains as soon as possible. Fresh stains are much easier to remove than those over 24 hours old. However, if stains are "set-in", you should still follow the same steps for removal; it may just take longer or repeated treatments. 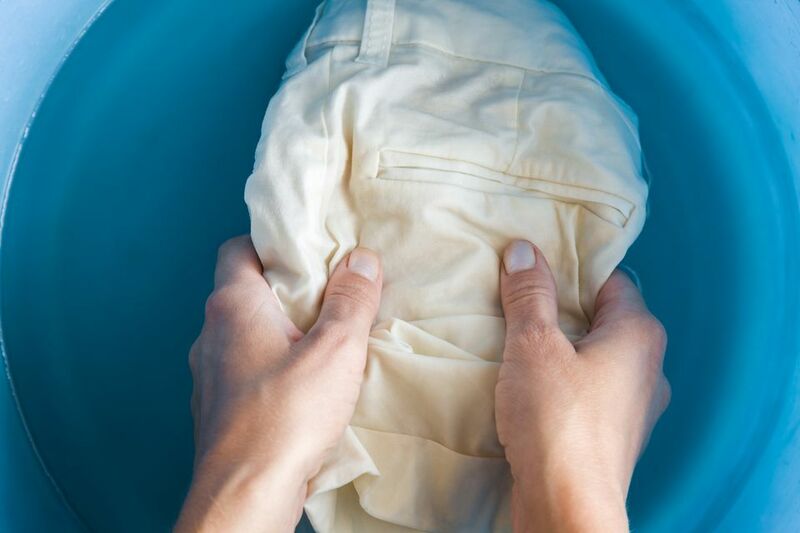 For fresh liquid stains, blot up any excess liquid with a clean white cloth, paper towel or even a piece of white bread (great for grease stains!). Remember to keep moving to a clean, dry area of the blotting cloth so as much of the stain is absorbed as possible. Avoid rubbing the stained area with a linty terry towel or a dark-colored cloth. You may make matters worse. With some solids, such as mud, removal may be easier after the stain has dried. Brush off the excess before the garment is washed. Create an emergency stain removal kit to keep in your desk or car with some white towels, a little bottle of water and a stain removal pen or wipes to treat stains as soon as possible. When tackling a stain, always start with cold water especially on stains of unknown origin. Hot water can set protein stains like milk, egg or blood, cooking the protein into the fibers. Hot water works best on oily stains like mayonnaise or butter. The hot water is especially important when removing stains from man-made fibers like polyester. Always read product labels and clothing care labels before taking action. Use the water temperature recommended on stain removal products and detergents. Hot water should be between 120 and 140 degrees F, warm water between 85 and 105 degrees F and cold water between 65 and 75 degrees F. Water below 60 degrees is too cold for many detergents to be helpful in removing oily stains. Your first instinct may be to grab a bar of soap or a squirt of liquid hand soap to remove a stain. But, never rub a fresh stain with bar soap. Soap can actually set many stains like berries, fruit or vegetable stains. Instead, use liquid dishwashing detergent or a bit of laundry detergent. Or, stick with plain water. Flush the stain from the back side of the fabric to push the stain out of the fibers. And, there is no need to search for club soda. Plain water works just as well and is cheaper! If you do the laundry for the whole family, you know there can be surprises lurking in the hamper. Teach your family to tell you about stains or mark them with a clothespin. 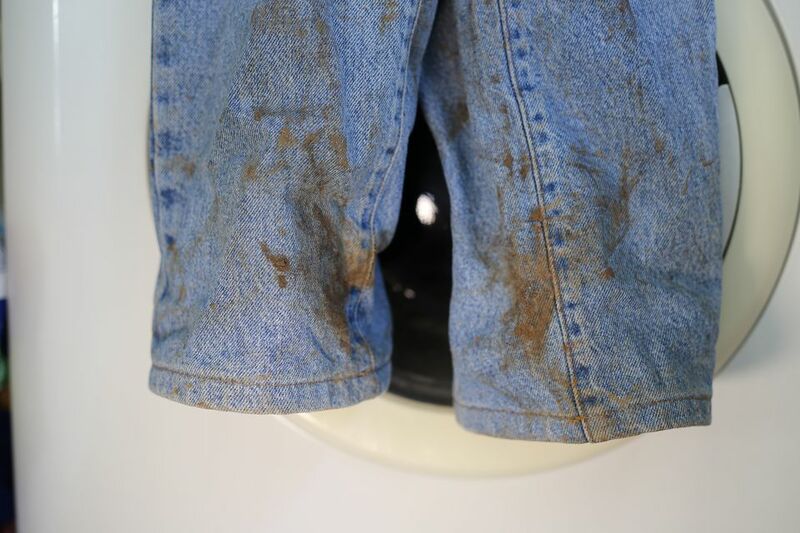 Always check garments before washing, many stains need pretreatment. Quite often, just a bit of heavy duty liquid laundry detergent like Tide or Persil worked into the stain with a soft-bristled brush and allowed to sit for 10 to 15 minutes before tossing in the washer will do the trick. These detergents have enough enzymes to break apart most stains and flush them away. Stains slip by us all. But it helps to inspect wet laundry before tossing it into the dryer. If a stain is still evident, do not place the garment in the dryer. The heat of the dryer makes the stain more permanent. The same principle applies to ironing - no heat should be added to stained areas. Before starting to work on a fabric stain, test the stain removal agents on a seam or hidden area of the garment to be sure they do not affect the color or finish of the fabric (especially if you've never used them before). This is particularly important on silk and fabrics that may not be colorfast. After you have tested the product, give it time to work. A quick treatment and straight into the washer probably isn't enough. Treat the stain and wait at least ten minutes before washing. This gives the pretreater time to work. Avoid vigorous rubbing unless the fabric is tough and durable like denim. Today's products for removing stains are very good so you don't need to scrub most of the time. Excessive rubbing can actually spread the stain and damage the fabric. To get the best results, wash heavily stained items separately. This means really dirty work clothes or muddy children's play clothes should not be washed with your best things. Plus knowing how to sort clothes for laundry loads will prevent dye transfer stains! Soil and stains can be redeposited on cleaner clothing during washing if too little detergent is used, water temperature is too low, washing time is too long or the washer is overloaded. Egg on Your Clothes or Carpet or Favorite Chair?